Time to get wordy with an amazing instant game! Enjoy the bright green background and making words to trigger an instant prize and more surprises! Do you like crossword puzzles? Then this is a great game for you! 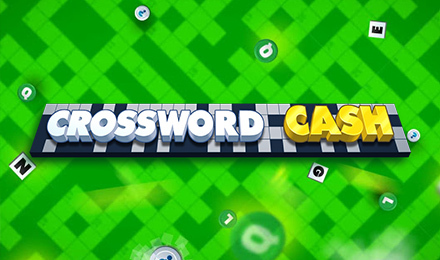 On the bright green background of Crossword Cash, set your bet and start making up your words on the grid. The aim of the game is to match words on the crossword grid or form them into new words. On the right-hand side of the grid you’ll find the different prizes on offer from three words and up. On matching up to 10 words, you’ll hit the jackpot of an amazing 150,000 coins!